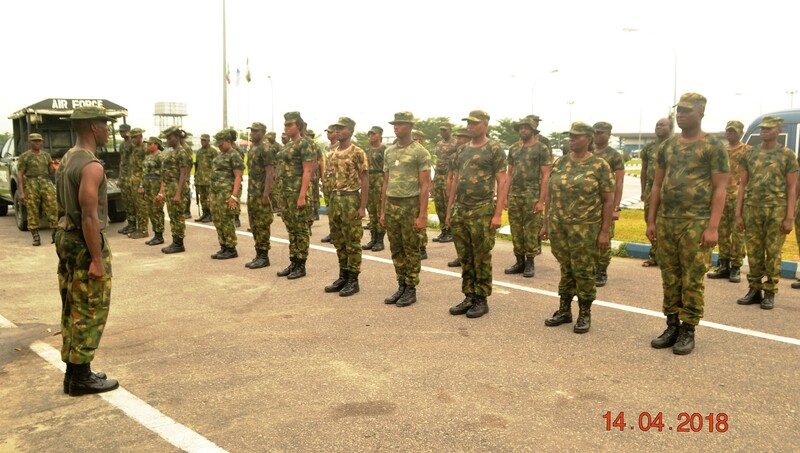 The Commander, 371 Nigeria Air Force Detachment Warri, Air Commodore Yakubu Daniel has charged Officers and Men under his Command to keep fit always and be mentally alert in order to enable them carry out their tasks whenever they are called upon. 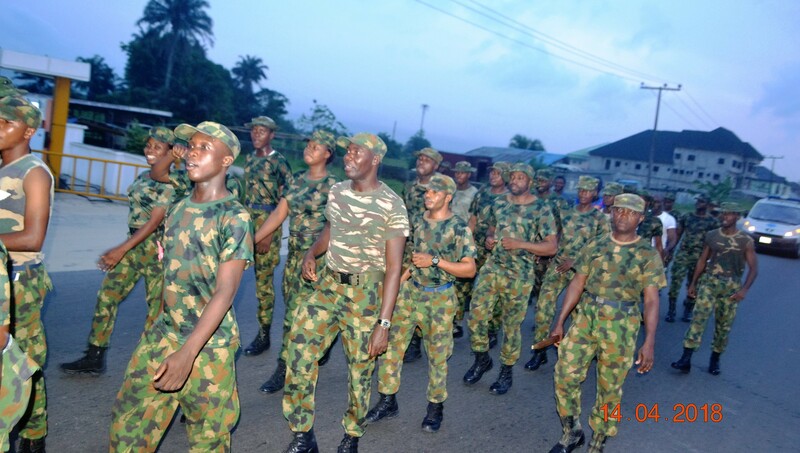 The Air Force Commander gave the charge Saturday April 14 during the 2018 first quarterly 10 kilometre route march undertaken by the Officers and Men of 371 Nigeria Air Force Detachment Warri, as part of the schedule route marches in the service. 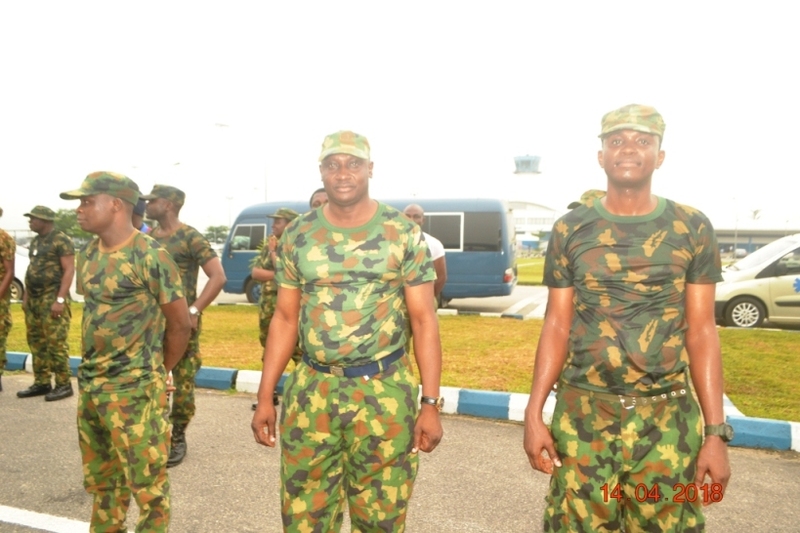 He urged Air Force personnel to take physical exercise seriously in order to keep fit and be mentally alert to face any challenges ahead of them. Air Commodore Daniel pointed out that no casualty was recorded during the route walk exercise and congratulated the Officers and Men for making it.